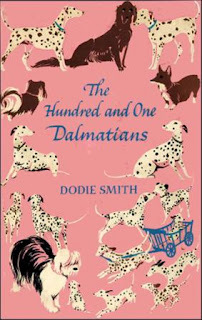 This month the classics book club is reading 101 Dalmatians , by Dodie Smith. It's a fun one to grab and read with your kids this summer (alongside Narnia, of course)! 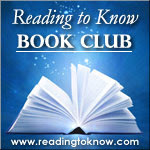 I made a Classics Club booklist several years ago for a now-defunct online challenge. On the list I put classics that I always meant to read but had never made the time to read, as well as ones I hadn’t really thought much about before I discovered the world of book blogs almost a decade ago now. I tried to split my titles up between lengthier adult titles and easier juvenile titles. I added both of Dodie Smith’s well-known novels, 101 Dalmatians and I Capture the Castle , to my list. I really wanted to read I Capture the Castle, but it seemed a shame to read it and not read 101 Dalmatians (especially since I already owned a copy! ), so I added it, too, planning to read it aloud to my children. I do hope you’ll join us this month in our trek through this delightfully doggy story! I, Carrie, read this book back in 2009. At that time, I indicated that I would plan on reading this aloud to my kids one day and have looked forward to doing so. Amy is offering me the opportunity to do just that this month! Reading 101 Dalmatians with my kids is going to be fun! I hope you'll join in with us. Let us know if you plan on participating by leaving a comment below. Carrie, are you familiar with How the Heather Looks? The subtitle is A Joyous Journey to the British Sources of Children's Books. I read it before our trip to England in 2008. My husband's childhood reading consisted of, perhaps, one Dr. Seuss book. So our focus was on castles and cathedrals. My sister-in-law and I dream about a trip to England with a focus on children's literature. We fondly call it the Sturdy Shoe Trip. @Carol - My friend QOC recommended it and I just began to read it this past week! Loving it. Dreaming a lot! We finished it yesterday! We enjoyed it so much, and I'm so glad others are playing along! 2. Thanks for this list of books adapted to Disney films. 3. Totally unrelated comment, but every time you or someone on your comments mentions "How the Heather Looks" I keep thinking they are asking you how I look. Or you are asking how I look. I get very surprised every time.